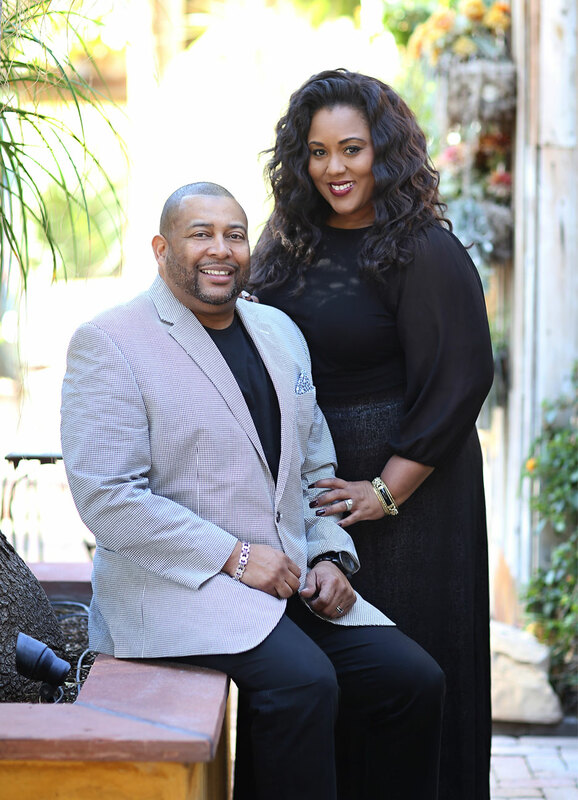 Pastors Reginald and Kelley Steele are the founders and senior Pastors of Kingdom in the Valley Christian Church. They are two people who exemplify the life and love of Christ. This beautiful couple have been married for 24 years, and though the road was rocky in the beginning, they persevered by serving God and seeking His will. Their down-to-earth, real, and transparent style of leadership and teaching has impacted countless lives throughout the nation and their testimony is living proof that God can do anything and that He will make a way out of no way, just as He said He would! Pastors Reginald and Kelley share a unique and inspiring relationship. With a dedication to doing God's will, open communication, and a genuine love and appreciation for one another, they show just what God can do with two people who started out in the same despair that so many of today's families start out in. As the proud parents of 5 children, ages 18-25, this family knows what it's like to be on the go! But they also know that their first church is their home and both put the lives of their family and their children second only to God. Actively participating in their childrens' schools, sports, and activities, they set a great example of what it means to build a strong family.